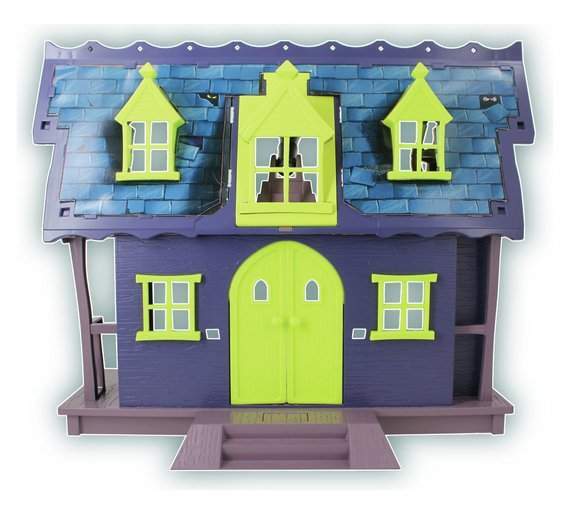 Great price on this very highly rated set - is between £23.99 - £25 elsewhere. Scooby and Shaggy are investigating suspicious goings on in the haunted mansion but they need to watch out for secrets, traps and the Phantom along the way! Watch out - go near the trap door and a ghoul will reach out from his hiding place to scare you! There's a cannon in the roof - keep out of range of its spring loaded barrage or use it against ghouls! And don't lean on the mirror - it'll release the trapdoor underneath you! 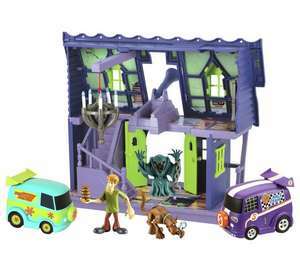 Includes Scooby, Shaggy and Phantom figures plus a mystery machine and race team van vehicles.